This research from 2010 supports the answer. But there are other newer researches, as this wich shows how a 28% of respondents are influence by social media. You can find the complete research on this link. 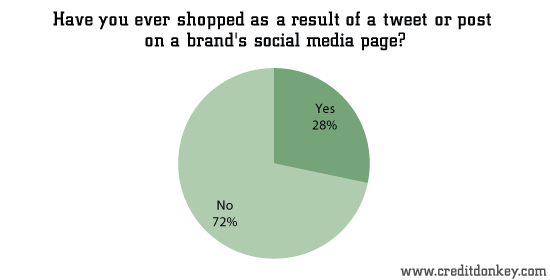 But social media is not the only factor with influences in purchasing. In the next infographic is possible to identify what is important for buyers when they have to decide about a purchase. Posted in Social media•Tagged purchase, purchase decision•Leave a Comment on Does social media influence in purchase decisions?